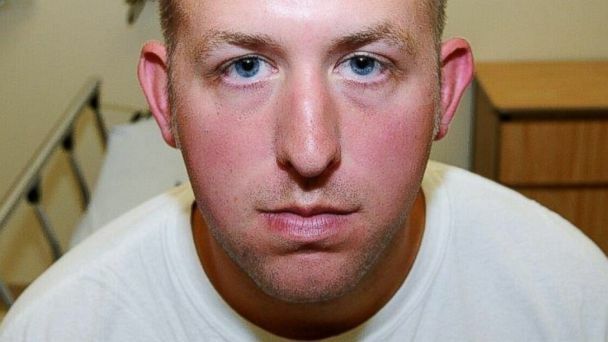 The department of Justice announced today that police officer Darren Wilson will not be charged in the death of Michael Brown. "There is no evidence upon which prosecutors can rely to disprove Wilson's stated subjective belief that he feared for his safety," the DOJ criminal report said. According to the report, Wilson "saw Brown reach his right hand under his t-shirt into what appeared to be his waistband." Accounts that Brown put his hands up are "inaccurate because they are inconsistent with the physical and forensic evidence," the report says. Witness accounts were "inconsistent" and "changed over time," it also said. "The promise I made when I went to Ferguson and at the time that we launched our investigation was not that we would arrive at a particular outcome, but rather that we would pursue the facts, wherever they led," said US Attorney General Eric Holder. "Our investigation has been both fair and rigorous from the start. It has proceeded independently of the local investigation that concluded in November. And it has been thorough: as part of a wide-ranging examination of the evidence, federal investigators interviewed and re-interviewed eyewitnesses and other individuals claiming to have relevant information and independently canvassed more than 300 residences to locate and interview additional witnesses." Holder added, "This conclusion represents the sound, considered, and independent judgment of the expert career prosecutors within the Department of Justice. I have been personally briefed on multiple occasions about these findings. I concur with the investigative team's judgment and the determination about our inability to meet the required federal standard." The Justice Department also released its investigation of the Ferguson police, which found a pattern and practice of discriminatory policing. The report includes seven racist emails sent by Ferguson officers. In its review, the Justice Department found 161 use of force complaints against the Ferguson police from 2010 to 2014. Only one case was founded and no officer was disciplined. Those conclusions came nearly seven months after a confrontation with Wilson that left Brown dead. In the wake of the controversial slaying of unarmed teenager Trayvon Martin, Brown's death reignited a national debate over race in America and sparked protests across the country. With its findings now public, the Justice Department is likely to seek agreement from the Ferguson police department to implement serious changes to its practices. But if negotiations fail, then the Justice Department would likely file a civil lawsuit against the police force, hoping a federal judge will force the police department to enact appropriate changes. In a news conference late today, Ferguson Mayor James Knowles said the city has cooperated with the DOJ, received the results of the investigation and has already acted on changes, including diversity training for police and African-American hires. The city immediately placed three employees who allegedly sent racially-charged emails on administrative leave. One of the three has been fired and the fate of the others awaits the results of an internal investigation. "That type of behavior will not be tolerated," Knowles said. "We must do better not only as a city but as a state and country."